This is going to disappoint many of you. 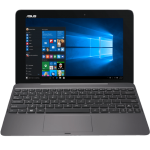 We’ve just read, from a couple of UK-based reviews, that the ASUS Taichi 11.6 (and we assume.13.3″) does not have two touchscreens. Only the outside screen is touch enabled. The reviews aren’t exactly comprehensive but they both express surprise at the lack of touch on the ‘normal’ side of the laptop screen. Our original information that the Taichi had two touchscreens was derived from early marketing materials and we had a short discussion about it in our article comments here. Recent marketing materials and the two reviews are confirmation, however, that we’re looking at a dual-sided screen with only one side being touch enabled. Obviously our article has been corrected now and as the author I would like to apologise for relaying the incorrect info. So, how do you feel about the Taichi now? Touchscreen in a laptop, tabletop setting is a valid, fast and fun use case in many cases as I demonstrated here. Not having it on such a multi-use device seems like a strange ommision. Yes it is, they might have done it due to cost concerns, added by the fact that people who never tried such devices were saying clamshell touch didn’t make sense. Touch on a clamshell form factor is perfectly viable. If you can live with a touchpad, touchscreen is a FAR better method of interaction. I thought this might be the case. 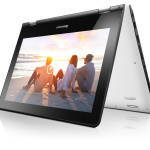 Its either a touchscreen tablet or a conventional notebook… only the outward facing screen is touch. Pretty much rules it out as an option for me. 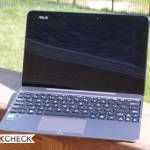 Why should we pick this over the transformer book? Personally I prefer the Book although prices are much higher for the Book. – Suppose you want to use it while on the move: for Taichi & sliders, you’ll take it out of your bag and start using it straight away, and you can put it straight back into your bag after use. For transformer, if you store it attached with dock in your bag, you’ll have to take whole thing out, detach, than put dock back into bag before you can use the tablet. Then when you want to put it back, you’ll have to take out the dock, carefully attach, then put it back. Eventually, you’ll find that’s so much trouble you’ll end up not taking it out. 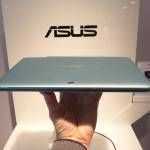 Since officially Asus release Transformer Book for 99% is my next hybrid pc. 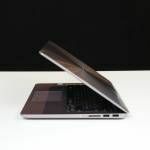 For me the 2 things that mutter more is that the Book has highest conrtast 350 over 280 Taichi and removable keyboard with extra hhd plus backlit keyboard first from tablet pc with removable form factor. I don’t get it. Why not the Samsung ATIV Smart PC Pro 700T? 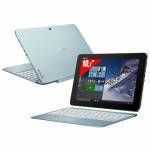 It has a dock, you can even add a SIM card to it, uses Intel Core, its already available. 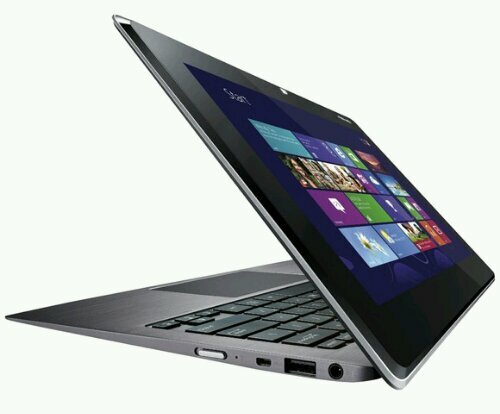 The transformer book has dedicated video and a secondary hard drive bay in the keyboard dock. Its more of a desktop replacement in that respect. I don’t see this as a big issue. If you need to open the laptop, you are most likely going to be using an ‘old’ desktop app, that is geared towards keyboard and mouse. With the trackpad gestures you get the important ‘touch’ functions anyway, combined with keyboard hot keys (since you have a nice keyboard available) I can’t see how touch on the inner screen adds much. This is a misconception that touch is only useful in the new UI. Touch also means there’s no need ever to pull out a mouse. Before touch whenever you’d use your laptop on the go (i.e. train, airplane) to work for substantial amount of time you’d have to pull out a mouse or be severely limited by a trackpad. With touch you don’t need the mouse, just touch the screen and type. Exactly, that would be what the front screen is useful for! For me its definitely a no go. I’m a software developer, developing touch apps for Win8. So without a touch screen on the ‘notebook’ side of things I have to swivel it around every time I want to do a test. Just not a workable workflow at all for getting anything done. Only 1 screen? For me there was no doubt about that fact from the first moment. That was ovious since the first presentation of the Taichi: The normal screen is matte. .. So, no surprise for me. I’d rather have only one 2560×1440 touchscreen than two 1920×1080 screens… but that’s just me.